Hackett: "There's no shortage of money for great ideas." DETROIT -- The head of Ford Motor Co.’s newly created Smart Mobility subsidiary says its investments and expansion into ride-sharing and other services will help the automaker guard against the next economic downturn. Ford last year acquired Chariot, a Silicon Valley-based on-demand shuttle service that has since expanded to Texas and will grow to eight global cities this year. Ford also invested heavily in a bicycle-sharing service and is collaborating with a group of mayors to help solve urban congestion problems. CEO Mark Fields has said Ford can earn up to 20 per cent profit margins off these new mobility services, more than double what it makes off its core business selling new cars and trucks. Ford last year said it had plans in place to survive a downturn scenario where sales plummeted 30 per cent in a single year. Executives noted that Ford could break even if sales dropped to 11 million vehicles by shedding shifts and canceling overtimes at plants across the country. But Hackett said mobility services can help the automaker continue to make money in such instances. 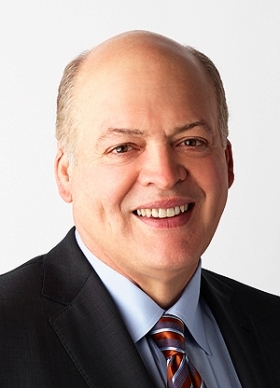 While Hackett declined to offer specifics, he said that Ford Smart Mobility is likely to make more acquisitions, similar to the purchase of Chariot. Hackett said there’s been strong cooperation from executive chairman Bill Ford, Fields and Ford’s board of directors. The subsidiary was formed in March, and has moved quickly to add staff -- including CEO Raj Rao, former executive at 3M -- and decide in which services it wants to invest in. Still, if Hackett’s team presents a good business case, Ford’s board of directors has been more than happy to listen. “There’s no shortage of money for great ideas,” he said.